This clear watery with black sand is full with marine traffic and fishing industry. 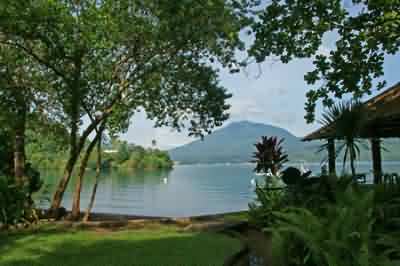 But behind it, Lembeh Strait is a paradise for muck dive lovers. 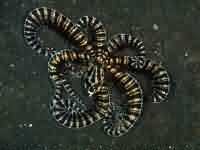 The sea is also full with sea creatures that had adapted both the shape and behavior which attract many researchers and photographers both locally and overseas. For macro photography lovers, this is perhaps a suitable place for hunting. 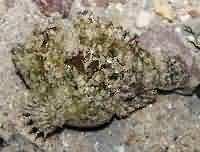 Here we can see the sea animals we’ve never seen before. 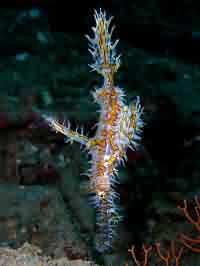 Frogfish, ghost pipefish, mimic octopus, Lionfish is the main higlight while diving in this place. It takes a hawk-sharp eye for the divers to be able to find the organisms since they are often disguised with the environment around them. In addition to photographing, here you also can dive guided by experienced instructors. There is an interesting object at the Lembeh Strait which is a shipwrecks of World War II who became a tourist attraction for divers.